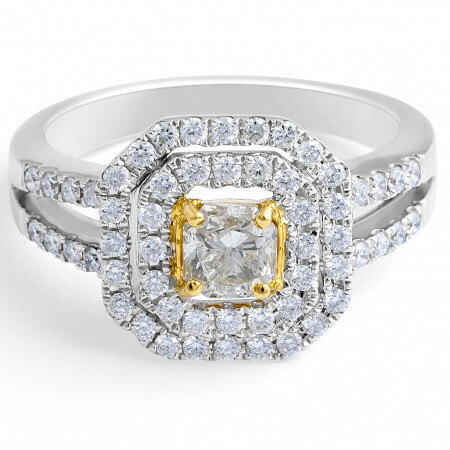 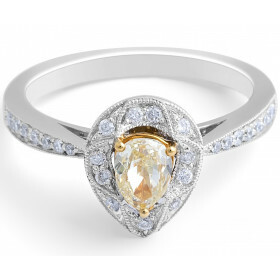 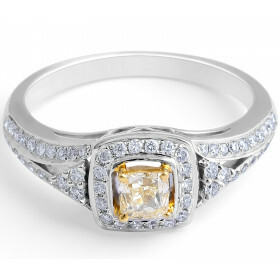 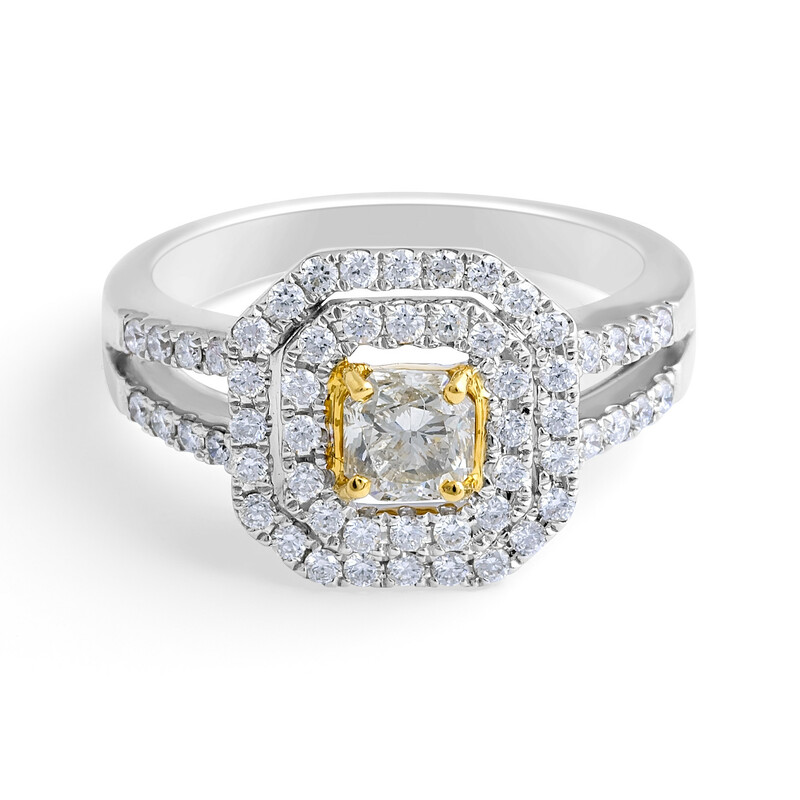 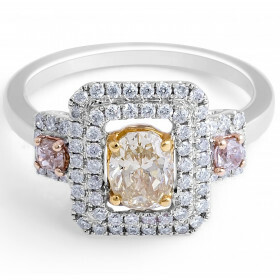 Cushion diamond double halo ring with a Fancy Yellow cushion diamond centre stone, weighing 0.53 carat. 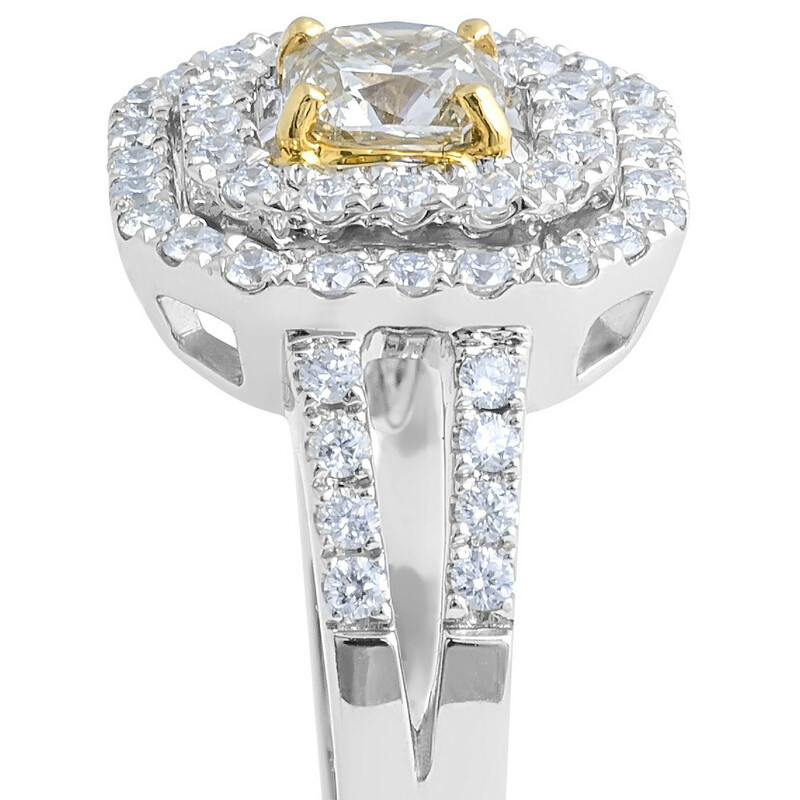 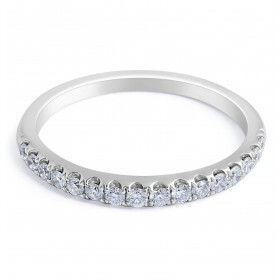 The ring is mounted in 18K yellow gold, with collection colour white round brilliants with a French pave setting style. 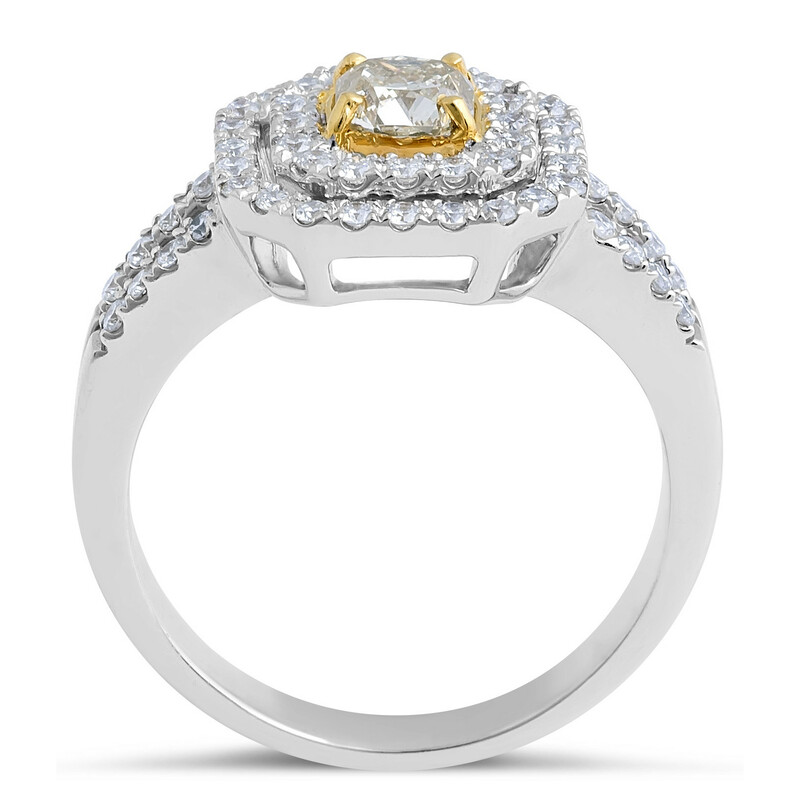 18 Karat White Gold Yellow Cushion Diamond Double Halo Ring set in 0.53 Carat centre stone Surrounded with 56 Round Brilliant Cut Diamonds o.47 Carat.Gold Weight :6.03 grams.